The FDA, Centers for Disease Control and Prevention (CDC), and the Centers for Medicare and Medicaid Services (CMS) said today they have formed a task force designed to help facilitate rapid development and deployment of diagnostic tests in clinical and public health laboratories during public health emergencies. The Tri-Agency Task Force for Emergency Diagnostics (TTFED) plans to develop a process to collaborate on future emergency diagnostic response needs. During emergencies, the task force said, it will convene quickly to provide timely recommendations to laboratories for rapid implementation of in vitro diagnostic (IVD) assays authorized for use under FDA’s Emergency Use Authorization (EUA) authority. “We also believe that this task force could lead to more innovation for diagnostic tests as developers will see a more predictable federal regulatory response through the agencies’ coordination,” Shuren added. The FDA has authority to issue an EUA for the use of diagnostic tests during public health emergencies, provided certain criteria are met. The CDC has responsibility for providing agent-specific subject matter expertise in epidemiology, laboratory expertise, and guidance to clinicians and laboratories responding to the emergency. 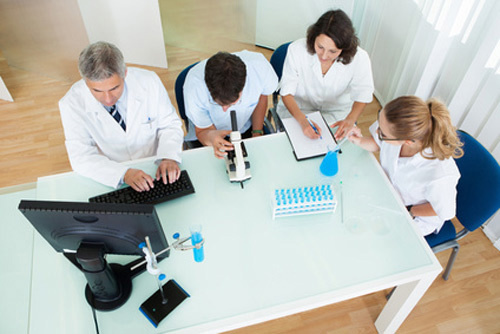 The CMS has authority to ensure quality testing at laboratories through the Clinical Laboratory Improvement Amendments (CLIA)—and also provides guidance, even during public health emergencies, to laboratories on meeting CLIA requirements to ensure laboratories produce accurate, reliable, and timely results. In announcing the task force, the agencies cited feedback from clinical laboratories that it said indicated uncertainty about how to implement diagnostic tests once they received an EUA—specifically, meeting CLIA regulations under an EUA to allow labs to start testing specimens. The task force will consist of at least one member from each agency who intends to participate in every meeting. The task force will meet twice yearly, with additional meetings to be scheduled as needed—including at the beginning of any public health situation that is expected to involve a declaration of an emergency by the office of Secretary of Health and Human Services (HHS) Alex M. Azar II or his successor that would allow authorization of IVD assays for emergency use. The agencies said that by standardizing how they collaborate, they hope to address issues related to implementing diagnostic tests authorized for emergency use under an EUA, as well as other unmet needs and gaps in preparing and responding to global health threats. The task force is also designed to provide a forum for each of its member agencies to coordinate, provide consultation, and improve the availability of diagnostic tests during public health emergencies. The task force will work to define, refine, and streamline interagency approaches for the implementation of EUA diagnostic tests, in hopes of enabling a more efficient federal government response for making diagnostic tests available in the event of a public health emergency.